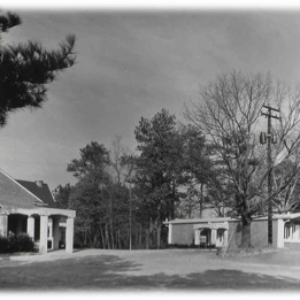 In 1957, Saint Anne’s Episcopal Church purchased the parcel of land at the corner of now named Northside Drive and Moores Mill Rd. 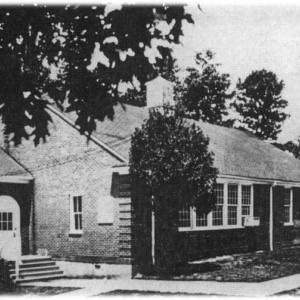 On the property was a red brick building, built in 1899 as a schoolhouse, which was remodeled into the first church. But the original purpose of that historic building, the oldest still standing in the Buckhead area of Atlanta, foreshadowed things to come. Nine years later, the church began the mission of the Day School and welcomed the first class of 13 preschoolers in the Fall of 1966. 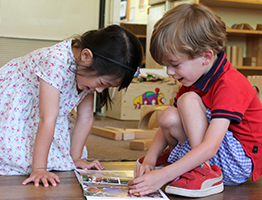 Saint Anne’s Day School has been a thriving mission of the church ever since. 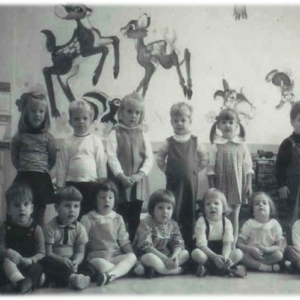 In 1994, the Day School learned of the world-renowned preschools and infant toddler centers in Reggio-Emilia, Italy. Educators were intrigued with how the values of the schools in that Italian municipal system resonated with their own beliefs about young children’s learning. Thus began a journey of studying the Reggio-Emilia Approach. In 2004, Dr. Margie Cooper invited Saint Anne’s Day School to become a member of Project Infinity, a collaborative school development project supported by the non-profit organization that Dr. Cooper founded, Inspired Practices in Early Education, Inc. This invitation signified an important milestone in the Day School’s continuing evolution and marked a genuine school-wide commitment to interpret the values of the a Reggio-inspired philosophy in the context of Saint Anne’s Day School. Tours begin at 9:00 AM. Reservations are not required, but please complete this simple online form to let us know of your interest and which date you would like to visit.